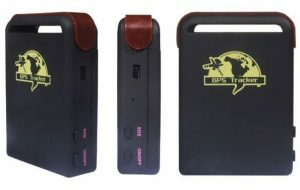 Executive Order Spy — List of GPS Tracking Devices and applications supported by EOSPY – Executive Order Sensor Processor sYstem server. Different GPS manufacturers and Sellers brand their devices under similar popular names (e.g. TK102, TK103, GT02A, H02 and other), so it’s impossible to identify the correct port for those devices just by a model name. 1. Device sends status information but not GPS coordinates. Most often this happens with devices that use GPS103 protocol (port 5001). The solution is to send a command to the device to activate location reporting: fix060s**n123456 (where 060s is the interval between messages, ** tells the device to continue sending locations periodically and 123456 is the default password). EOSPY does not support commands yet, so you need to send the SMS command from your phone. If you have tried everything above and your device still doesn’t work, then you can try to manually identify protocol.